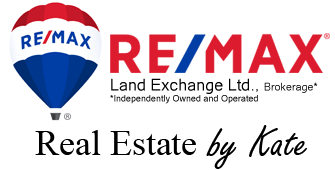 Having grown up on the shores of Lake Huron in Southampton I am happy to be living and working in the area again and helping people realize their dreams, whether settling here permanently, retiring or buying their second home and cottage. Saugeen Shores and area is a great community offering a unique lifestyle to both the young and old and I have seen that over the 50+ years that I have been living and visiting this area. My family has been here since the 1940’s when my grandparents first settled here and bought the Southampton Hotel and later the Breaker’s Lodge. I have become very involved in the local community since returning; first joining the local Rotary and the CFUW club, as well as being involved in the School Board SCC and ARC committees. My main focus is now with the Chamber of Commerce and I am serving my 6th year on the Board, now as their President. I not only enjoy being involved with the local businesses but am usually one of the first to know what is happening within our community and I can bring this knowledge to help my clients whether deciding where to live or even what business to invest in. I graduated with a Bachelor of Commerce degree from the University of Guelph and have been in Sales almost my entire career. Prior to Real Estate, I was in Sales at CTV in Kitchener. I have an extensive marketing and advertising background which I am able to bring to my Real Estate career. Customer Service has been the key to my success. My husband who is my business partner brings with him extensive knowledge as well and is part of our unique services. He will offer his services to help get your home ready to sell. We want to help showcase your home to make it the best it can be and help sell it faster for top dollar. Ray spent 25 years at CTV and helps me manage all of the online marketing of your home.  I also have achieved my ABR®(Accredited Buyer’s Representative) designation as I feel with the Industry changing constantly it is important that I remain relevant and able to manage any transaction that my client’s require. I promise you will not be disappointed if you are looking for someone that knows the area, can market your property and has excellent negotiating skills. Don’t hesitate to call me anytime, I look forward to talking to you!